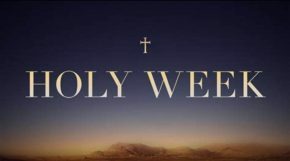 A Thought: Holy Week Is about Remembrance. So during this week, do yourself a favor: Remember what this week is all about —every bit of it. Then, thank God as you REMEMBER. Happy Monday!